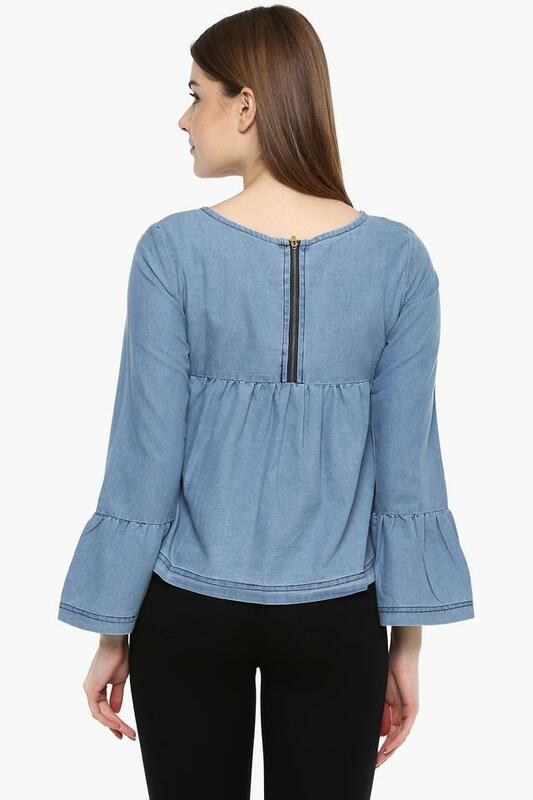 Put together a modish and chic look with this top from Nush. 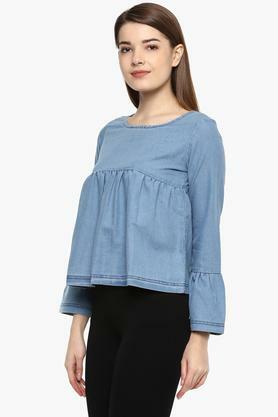 Fashioned using cotton blend fabric, this top will not fail to catch your fancy at a single glance. 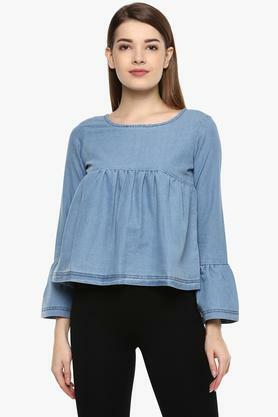 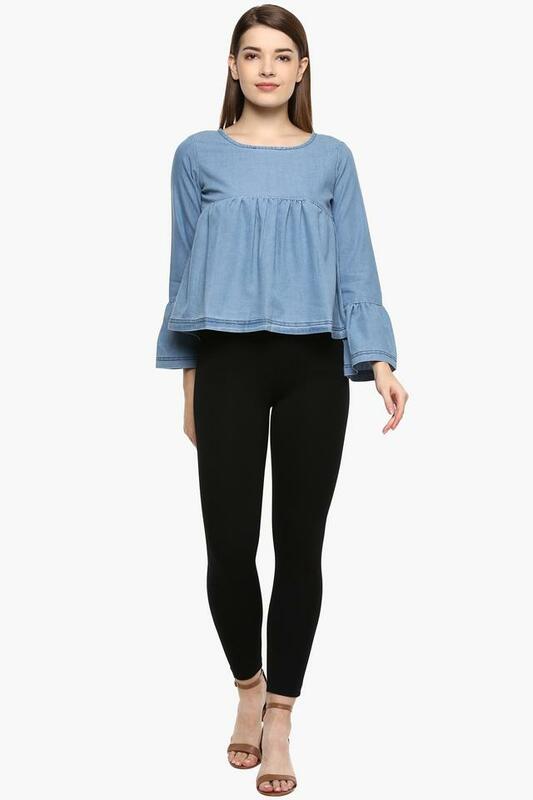 Featuring a round neck, full sleeves and solid pattern, this top possesses a stunning flair.